Twin Webbing Lanyard : Fluorescent Yellow Color, With Shock Absorber, One-Side Easy 308 Karabiner & Two Nickel Plated Scaffoldings With Easy SH 60 Hook. 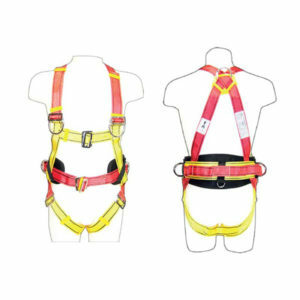 FEATURES : Full-Body Harness To Be Used With Vertical Anchorage System And Construction Industries. 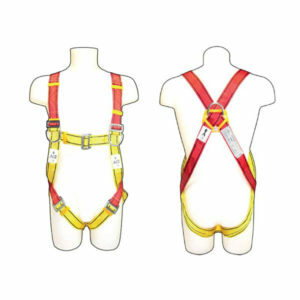 Ideally Positioned Sit Strap For Extended Comfort. 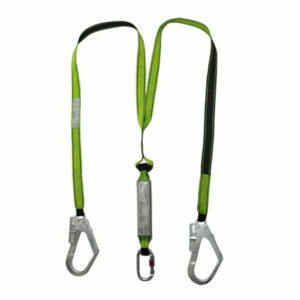 Webbing Lanyard : Fluorescent Yellow Color, With Shock Absorber, One-Side Easy 308 Karabiner & Nickel Plated Scaffolding With Easy SH 60 Hook. Webbing Lanyard : Red Color, With Shock Absorber, 44-mm Wide Polyamide Webbing, One-Side Easy 308 Karabiner & Zinc Plated Scaffolding With Easy SH 60 Hook.